NTUC FairPrice (FairPrice) has come in as an official sponsor for Muhamad Ridhwan (pictured), Singapore’s first international professional boxer. Following the sponsorship, the agreement will see Muhamad’s training to be taken care of, which includes training support with Singapore as his base, regional sparring partners to help him prepare for his fight, as well as local and regional training camps. In addition, FairPrice will also be the official sponsor of the IBO International championships, Roar of Singapore V, which will be hosting the fight. This is organised by Singapore-based organisation Ringstar, a sports media property focused on a boxing ecosystem. Currently, Muhamad is preparing to fight for the International Boxing Organisation (IBO) Super Bantamweight World Title. According to the press release, FairPrice has been an avid supporter of sports and its value in uniting and galvanising Singaporeans. This saw the organisation sponsoring events and young sporting talents in the international stage over the years, such as the Youth Olympic Games, Special Olympic Games and Southeast Asian Games. Seah Kian Peng, CEO of NTUC FairPrice said the organisation is driven by its belief that sports is an effective platform to bring Singaporeans from all walks of life together. “As a homegrown brand, we also champion the efforts of local talents who represent Singapore on a world stage and strive to excel and bring glory to the nation. We stand behind Muhamad and encourage all Singaporeans to support and cheer him on as he competes for the world championship title,” Seah added. “I am deeply honoured to represent Singapore in this upcoming world title fight and grateful to have earned the sponsorship from FairPrice, an organisation that I can identify with, like most Singaporeans. 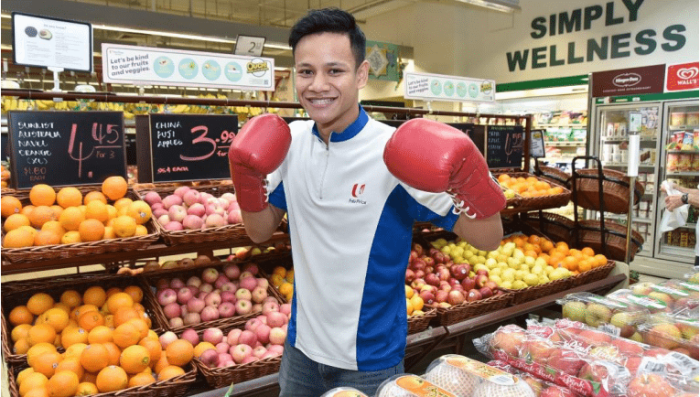 I want to thank FairPrice for their steadfast belief in local sportsmen and my quest to be Singapore’s first boxing world champion,” Muhamad said. More here on the new branding of the agency and its tagline. ..
Getting bored while doing the housework? It looks like Electrolux has come up with a new activity you can do with its vacuum clean..
After taking on public relations duties for Peroni earlier this year, Bite Communications has secured a more formal ongoing retain..